Just because the latest “Avengers” was a disappointment doesn’t mean the medium is in trouble. Six months into 2015 and it’s already a robust year for movies. We may be in the midst of summer blockbuster season with allegedly higher quality releases saved for the fall, but there have already been a hugely rewarding crop of titles released so far — if you know where to look, of course. Those of us scanning through festival lineups each year and chasing first-rate cinema wherever it crops up have plenty of suggestions to get you through the dog days of summer. Our friends at The Playlist already shared 20 of their favorites and the members of our Criticwire Network are currently voting in a poll along similar lines. For my own list, I’ve stuck to films that have been released in theaters or VOD so far this year, even though in many cases they were first seen at festivals last year — yet another remind of how long it takes from the competition of a project to its availability. But hey, better late than never. If the following titles aren’t on your radar yet, get cracking. By the end of this year, this list is going to get a whole lot longer. Mexican director Alonso Ruizpalacios’ lovely black-and-white debut takes one of the most clichéd scenarios imaginable — the road trip — and delivers a whip-smart take on contemporary Mexico. The story follows wayward teen Tomas (Sebastian Aguirre), whose mom ships him off to his older brother’s pad — from which he’s promptly exiled. With a group of similarly disaffected youth, the siblings ride around in an ambling quest to find a figure from their father’s past. In the process, they get swept in student revolt, random parties and fragmented debates about nothing in particular. Melding a New Wave sensibility with a bittersweet eye for the perils of burgeoning adulthood, “Gueros” introduces a promising new voice to Latin American Cinema. The latest entrant in an emerging subgenre of character-driven comedies about neurotic young New Yorkers (epitomized by the success of HBO’s “Girls”), Desiree Akhavan’s “Appropriate Behavior” provides an enjoyably shrewd update to a potentially grating formula. The first-timer writes, directs and stars this blatantly autobiographical tale of a bisexual Brooklynite still in the closet to her strict Persian parents. That lingering dilemma forms only one piece of the equation in this sophisticated and persistently witty look at urban youth culture and arrested development. While hardly groundbreaking, Akhavan’s blend of cultural insights and sweetly relatable, self-deprecating humor provide a charming showcase for a new filmmaker worthy of discovery. Read the full review here. Ethan Hawke’s career is distinguished by contemplative roles, notably the ones associated with Richard Linklater, though in his limited output as a director — the two narrative dramas “Chelsea Walls” and “The Hottest State” — he hasn’t found the same degree of perceptive material. But that has changed with his endearing documentary “Seymour: An Introduction,” a sweetly affecting portrait of creative genius existing outside of marketplace concerns that may as well serve as the actor’s mission statement. Though the title echoes J.D. Salinger’s 1959 novella, “Seymour” has nothing to do with its namesake aside from both works being rich with contemplation. 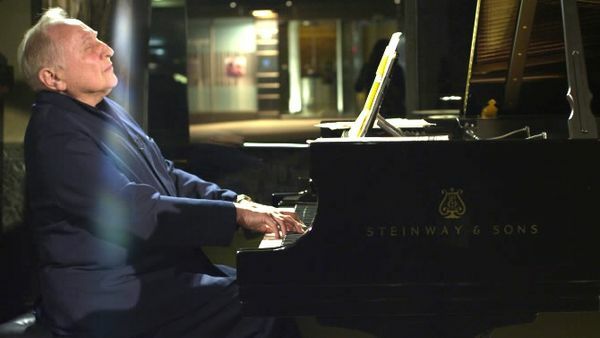 Hawke focuses on little-known concert pianist Seymour Bernstein, an octogenarian music instructor who lives alone in Manhattan’s Upper West Side. Once considered among the next generation of great concert pianists alongside contemporaries like Glenn Gould, Bernstein garnered raves for his performances at Lincoln Center’s Alice Tully Hall weeks after it opened in the late sixties. But within a matter of years, due to a combination of stage fright and disdain for the commercial side of the music industry, he quit performing for a living and began teaching full-time. It’s here that Hawke finds his subject, in an opening montage of intimate sessions with students of various ages, encouraging them to grow attuned to the internal rhythms of the work. Bernstein explains the philosophical gratification he finds in his instructional role. “I’m not so sure a major career is a healthy thing,” he says, which naturally sets up a contrast with the high profile career of the movie’s director. As much as “Seymour” is a tender look at one man’s experiences, it’s also a broader testament to the value of his wisdom being universal. Read the full review here. In 2011, French writer Michel Houellebecq promptly disappeared in the midst of a book tour. Guillaume Nicloux’s insightful comedy explains where he went. Well, kinda. Actually, “The Kidnapping of Michel Houellebecq” is a brilliantly fictionalized take on authorship and cult of personality starring the cantankerous writer himself. 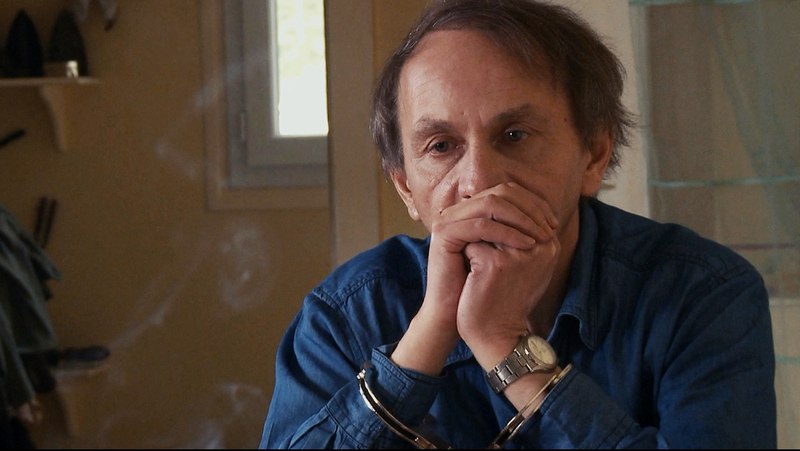 Kidnapped by a group of clueless thugs with no apparent plan in place, Houellebecq winds up enjoying his stay at the country house where he’s imprisoned. Over the course of several days, he engages in wine-enhanced dinner conversations about art, education and politics with his increasingly affable captors, who even throw him a birthday party. Houellebecq’s monotonous delivery and elitism forms a hilarious contrast with the eager men around him, who come to represent the irony of modern fandom. The surprise isn’t just that Houellebecq enjoys his captivity, but that he takes it for granted, suggesting that the entire movie takes place in his mind. Houellebecq is such an enjoyably moody screen presence that Nicloux’s movie leaves you wishing he’d get abducted again for a sequel. The premise of the “La Sapienza” could easily provide fodder for a clichéd indie drama: an estranged couple travels to the countryside in a desperate attempt to raise their weary spirits, bonds with a pair of troubled teens and by helping them work through their problems, finds a renewed sense of hope. Gag. But in the hands of French-American filmmaker Eugéne Green (“The Portuguese Nun”), whose movies blend understated storytelling with literary themes, “The Sapienza” is anything but familiar. Instead, the writer-director crafts a work that’s both weighted with scholarly inquiry and an undercurrent of poignancy unlike anything else. Read the full review here. 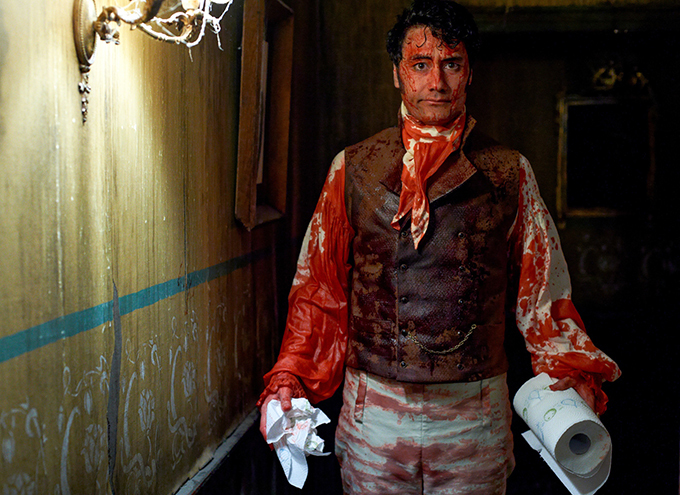 Co-directed and starring Kiwi funny men Taika Waititi and Jemaine Clement, “Shadows” is the rare mockumentary that delivers on its cheeky entertainment value without coming across as glib. Envisioning a reality show about a family of Wellington vampires, the movie does such an effective job of borrowing the visual style of such shows it almost seems like the real deal. But then the bloodsucking begins and the truth sets in: This is a seriously enjoyable satire that rejuvenates the familiar signposts of gothic horror by illustrating how even unspeakable evil forces can whine about their boring lives. (It even turns the nuisance of neighborhood werewolves into an immensely believable threat. Screw those guys.) Regardless of how they apply themselves — this is the same group that brought us “Eagle Vs. Shark,” “Flight of the Concords,” “Boy” and so much more — Waititi and his merry band of goofballs are among some of the best comedians working today. Scorched red earth, leather-clad bikers, deranged metalheads and a stone-faced avenging protagonist of few words: These are the familiar hallmarks of George Miller’s relentlessly satisfying “Mad Max” universe, which remains captivating as ever in the Australian director’s long-awaited fourth entry, “Mad Max: Fury Road,” a kinetic tone poem in blockbuster clothing. 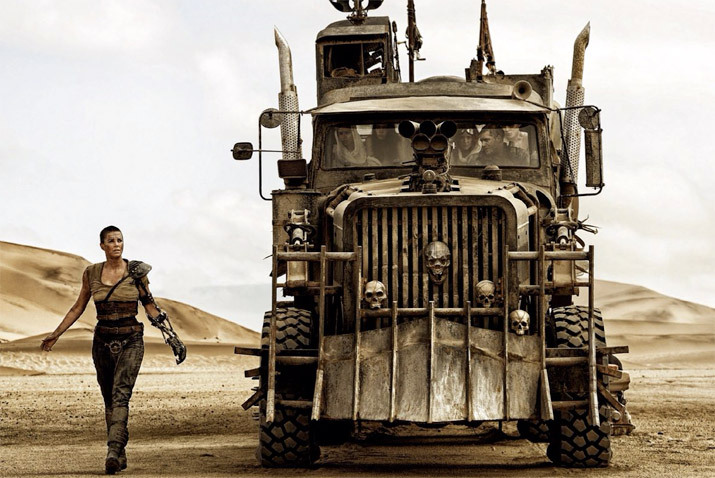 “Mad Max” doesn’t just depict conflicts with evildoers in a tattered existence. It delivers a rare alternative to aggressively stupid action movies. At a time of great need, Max rides again. Read the full review here. Austin-based sibling directors David and Nathan Zellner have been cranking out offbeat, surrealist comedy features and shorts that have gained a minor cult following on the film festival circuit for over a decade, but the profoundly engaging “Kumiko, the Treasure Hunter” successfully broadens their sensibilities. Anchored by the remarkably sensitive presence of lead actress Rinko Kikuchi in every scene, the Zellners’ elegant portrait of an alienated Japanese woman intent on discovering the fictional buried treasure from “Fargo” elevates its zany premise to poetic heights. This weirdly touching and ultimately quite sad character study echoes previous Zellner outings “Goliath” and “Kid-Thing” with its focus on interminably solitary individuals led down the rabbit hole of their absurd quests — only in this case, the outlandish aspects of the plot have been carefully embedded in the entirely believable pathos of its delusional star. The brothers’ strongest emotional achievement, “Kumiko, the Treasure Hunter” pushes their style up to a new level of sophistication. Co-produced by Alexander Payne and featuring an undeniably appealing hook, “Kumiko” is one of those nutty achievements operating under a more accessible surface that could very well bring the Zellners the largest audience of their career. And they deserve it. Read the full review here. With “Ned Rifle,” Hartley brings the eccentric trilogy that began with “Henry Fool” to a close, centering on Henry and Fay’s forlorn son as yet another template for skewering American sensibilities. The result consolidates the appeal of Hartley’s work into a savvy group of irreverent moments and satiric asides that somehow manage to resonate on an emotional level as well. Hartley’s writing engenders the unique feeling of a familiar touch that still manages to surprise you. “Ned Rifle” excels at that effect. Read the full review here. 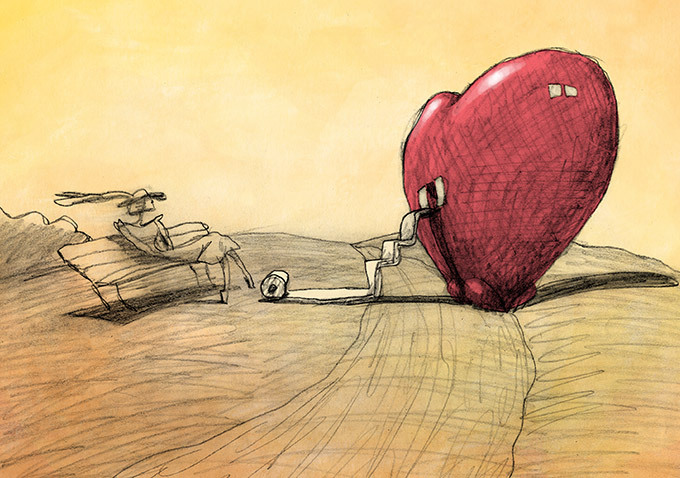 Bill Plympton’s ongoing ability to develop a body of work with his distinctive, loopy hand drawn cartoons over the course of a 30-year career without any discernible compromise continues in this scrappy, wordless tale of marital betrayal and body swapping fantasy. More than just the best animated movie of the year (at least until “Inside Out” hits theaters), “Cheatin'” certainly offers up Plympton’s usual devious physical comedy, but it grounds the surreal narrative in the emotional realism of passionate romance on the verge of collapse. “Cheatin'” delivers a fantastic contrast to the safer bets of mainstream animation — and implicitly challenge its creators to consider something different. Read the full review here. 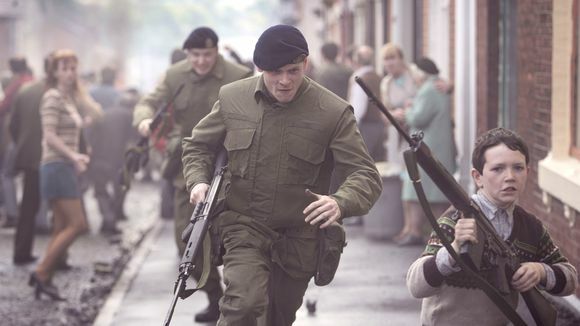 A gritty, relentless wartime drama that blends its action set pieces with palpable despair and historical observation, “’71” maintains a polished intensity that fares well for first-time feature director Yann Demange. Centered on a gripping performance by Jack O’Connell, as a British soldier marooned in a sharply divided Belfast over the course of a single, violent night during the height of the Northern Ireland conflict, “’71” constantly thrills without sensationalizing its surprises. The war-is-hell ethos drives it forward, so that the movie retains its suspense in conjunction with its dour outlook. Read the full review here. French director Céline Sciamma’s first two features, “Water Lilies” and “Tomboy,” followed young women through challenging periods of social confusion and identity crises. Her latest and best work, “Girlhood” (which opened Cannes’ 2014 Directors’ Fortnight section), follows that same pattern by taking it one step further. While Sciamma’s previous movies found characters overcoming their burdens through perseverance, “Girlhood” gives them the chance to really act out. The tense, involving result confirms Sciamma’s mastery over the coming-of-age drama, a genre too often reduced to its simplest ingredients. Sciamma’s latest stage of development arrives alongside a major discovery. Heading up an all-black cast, Karidja Touré plays subdued teen Marieme, a low key girl who lives in a lower class Paris neighborhood with her warring parents and younger sister. The opportunity arrives for her to come out of her shell when a trio of local teens coax her into their gang, luring her with the promise of cute boys. Before long, Marieme has joined forces with the motley crew as they cruise shopping malls and threaten rival gangs on a freewheeling rein of terror, while Sciamma lets her actors do the dirty work. Touré’s transformation from a subdued, frustrated child of neglect to a young woman in control of her life provides the movie with a robust backbone as she grows increasingly rebellious and assertive. Read the full review here. 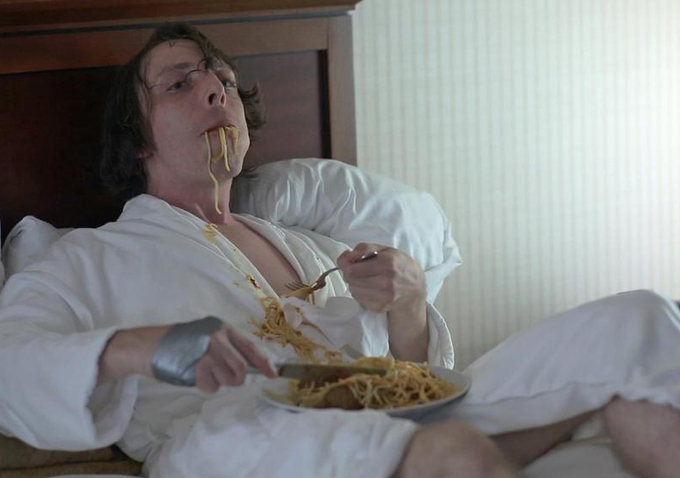 Joel Potrykus’ nutty debut feature “Ape” followed the exploits of a deranged standup comedian struggling to make ends meet. “Buzzard” is similarly focused on a man at the bottom of the economic food chain battling to get by while stirring up trouble in every direction. It’s also a genuinely brilliant contemporary satire of workplace frustrations. Like “Office Space” on crack, the movie revolves around a wry young schemer (“Ape” star Joshua Burge) who casually steals money from the bank that employs him while wasting his days with an equally directionless pal eating chips and playing videogames in a basement lair dubbed “the party zone.” But when his scams catch up to him, the character gradually loses his mind in a series of increasingly surreal and surprising developments that involve — among many other things — a treadmill, a makeshift Freddy Krueger glove, and one very long take involving pasta. By the end, like Martin Scorsese’s “After Hours,” Potrykus’ labyrinthine farce is so compellingly weird you just have to roll with it and accept it for what it is: an astute look at what it means to attempt an escape from the system and wind up devoured by it. Read the full review here. Roy Andersson’s concluding entry to his “trilogy about humans” followed on the heels of the similarly irreverent and surreal “Songs From the Second Floor” and “You, the Living,” so its amusingly off-beat collection of vignettes came as no surprise. But even with certain expectations in place, nobody could have predicted that “Pigeon” would be the best of the bunch — and also a masterful cinematic achievement in its own right. The Swedish director’s deadpan comedy (which won the Golden Lion in Venice shortly after screening at TIFF) follows a handful of characters, including a pair of aspiring salesmen hocking party favors, in a strange world where anything can happen. One scene set in a dreary bar magically transforms into a musical number set to “The Battle Hymn of the Republic”; at another pub, 19th century soldiers invade the contemporary tableaux with results as mystifying as they are deeply hilarious. But there’s a devious quality to Andersson’s perpetually weird narrative that reaches its apex in a haunting dream sequence depicting mass slaughter. Even when “Pigeon” goes dark, it never loses an otherworldly poignancy. 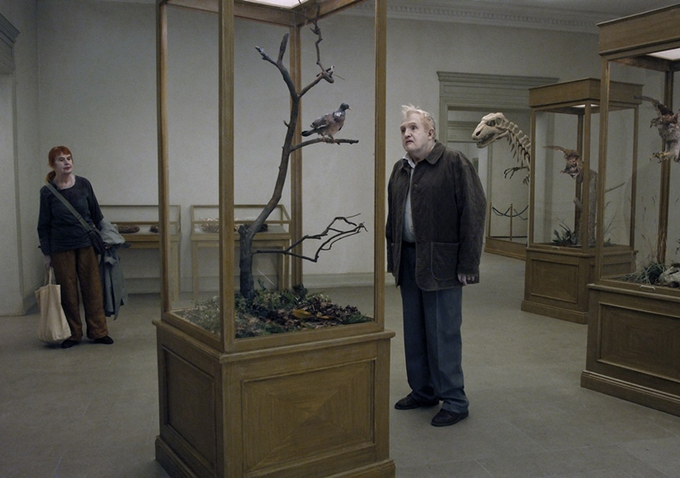 Already a must-see for the sheer uniqueness of its imagery, “Pigeon” eventually reaches masterpiece territory when the visuals arrive at a place of deeper significance. Read the full review here. The Safdie brothers are among the few New York-based filmmakers to capture the city’s grimy, subterranean qualities without diminishing its livelier ingredients, as their first two narrative features “Daddy Longlegs” and “The Pleasure of Being Robbed” make clear. But the masterful “Heaven Knows What” takes that potential to a new level, showcasing the pratfalls of a young heroin addict — played by newcomer Arielle Holmes and based on her actual experiences — as she contends with her destructive boyfriend (Caleb Landry Jones). Think “Kids” meets “Panic in Needle Park”: a ruthless account of addiction that’s fully believable and compelling, portraying a world of characters simultaneously close to death and fighting hard to evade it. Some buyers may cringe at the prospects of distributing such a grim movie, but it’s that same edginess and intensity that makes “Heaven Knows What” such a must-see: It’s a talking point about the perils of addiction, but also a powerful thriller that transcends expectations at every turn. Read the full review here.